Many in Texas are keeping a close eye on the Republican bid to replace the Affordable Care Act. One of the big changes is how it would affect low-income people, seniors, and people with disabilities who get help from Medicaid. And people on both sides of the political spectrum say the Lone Star State is not going to fare well. As the GOP bill, the American Health Care Act, works its way through Congress, Anne Dunkelberg with the left-leaning Center for Public Policy Priorities in Austin says she's a little stumped. "I have worked on Medicaid and uninsured and health care access issues in Texas for well over 20 years," she chuckles. She says this bill leaves the fate of some current funding streams unclear and there's one pot of money she's particularly concerned about. Texas has struck deals with the federal government to help reimburse hospitals for the cost of caring for people who don't have insurance. And Texas has more uninsured residents than any other state. "About half of what Texas hospitals get from Medicaid today comes through payments that are outside from the regular Medicaid program," she says, which adds up to $4 billion in federal funds every year. But even if Texas gets to keep all that money, there's another whammy — the GOP plan caps how much money states get for Medicaid from the federal government for every person they cover. It's called a per-capita cap, and the payments under that formula would start in 2020, but would be based on how much the state spends this year. Adriana Kohler with Texans Care for Children, an advocacy group based in Austin, says Texas already leaves too many people without care. "Last legislative session there were cuts to pediatric therapies for kids with disabilities enrolled in Medicaid," she says. The cuts caused some providers to shut their doors, which left some children without services, she says. "That's why these cuts coming down from the ACA repeal bill are very concerning to us." She says in Texas, children, pregnant women, seniors, and people with disabilities will bear the brunt of any belt-tightening. These populations make up 96 percent of people on Medicaid in Texas. That's why Dunkelberg says the program as is should not be the baseline for years to come. "They could lock Texas into a lot of historical decisions that were strictly driven by a desire to write the smallest budget possible," she says. Some on the right agree Texas is getting a raw deal. Doctor Deane Waldman with the right-leaning Texas Public Policy Foundation says there are things he likes in the bill. But in general he says, "It's bad deal for Texas. It's a bad deal for the American people." He says it was the right thing for Texas not to expand Medicaid, but this bill punishes Texas for it. Under the GOP bill, states that expanded Medicaid would get more money. And because the Republican bill leaves the door open for states to expand Medicaid before 2020, he thinks more states will do that to get in on the deal. "It's going to be a huge rush — an inducement to drag in as many people as they can drag in, because the more they can drag in, the more federal dollars they can get," he says. That, in turn, will make Medicaid spending skyrocket, he says. But if Texas still refuses to expand, it will have to share a pot of $10 billion over five years with other non-expansion states, per the GOP bill. And that would be just a drop in a bucket for a state as big as Texas. This story is part of a reporting partnership with NPR, KUT and Kaiser Health News. Copyright 2017 KUT 90.5. To see more, visit KUT 90.5. Let's follow up on a statement made a lot about a Republican health care plan. In its current form, the bill is likely to cost many people who voted for President Trump. Older people with lower incomes, for example, would pay more for health insurance. People are closely watching the legislation. In Texas, a state that voted for President Trump, one big change would come in funding insurance for low-income people, seniors, people with disabilities, who get help from Medicaid. Texans across the political spectrum say their state would not do well under this legislation. Here's Ashley Lopez of our member station KUT in Austin. ASHLEY LOPEZ, BYLINE: As the GOP repeal bill works its way through Congress, Anne Dunkelberg with the left-leaning Center for Public Policy Priorities says she's a little stumped. ANNE DUNKELBERG: I've worked on Medicaid and uninsured and health care access issues in Texas for well over 20 years. LOPEZ: She says there's a pot of money she's particularly concerned about. Texas has struck deals with the feds to help reimburse hospitals for the cost of caring for people who don't have insurance, mostly because Texas didn't expand Medicaid. Texas has more uninsured residents than any other state. And Dunkelberg says the GOP plan isn't clear about what happens to this pot of money. DUNKELBERG: About half of what Texas hospitals get from Texas Medicaid today comes through payments that are outside of the regular Medicaid program. LOPEZ: That adds up to $4 billion in federal funds every year. But even if, let's say, Texas keeps all that money in the future, there's another whammy. The GOP plan caps how much money states get for Medicaid from the feds for every person they cover. It's called a per capita cap. And the formula for this money, starting in 2020, would be based on how much the state spends this year. Adriana Kohler with Texans Care for Children, an advocacy group based in Austin, says Texas already leaves too many people without care. ADRIANA KOHLER: Last legislative session, there were cuts to pediatric therapies for kids with disabilities enrolled in Medicaid. And we've seen that that has restricted access to services. That's why these cuts coming down from the ACA repeal bill are very concerning to us. DEANE WALDMAN: Yeah, it's a bad deal for Texas. It's a bad deal for the American people. LOPEZ: He says the per capita cap punishes Texas for not expanding Medicaid, which he thinks was the right move. Under the GOP replacement bill, expansion states will be getting more money. And because the Republican bill leaves the door open for states to expand Medicaid before 2020, he thinks more states will do that. WALDMAN: It's going to be a huge rush, an inducement to drag in as many people as they can drag in 'cause the more they can drag in, the more federal dollars they will get. LOPEZ: Waldman says he thinks that will make Medicaid spending skyrocket. But if Texas still refuses to expand, it will have to share a pot of $10 billion over five years with other non-expansion states. And that would be a drop in the bucket for a state as big as Texas. For NPR News, I'm Ashley Lopez in Austin. INSKEEP: That story's part of a reporting partnership with NPR News, KUT and Kaiser Health News. Transcript provided by NPR, Copyright NPR. 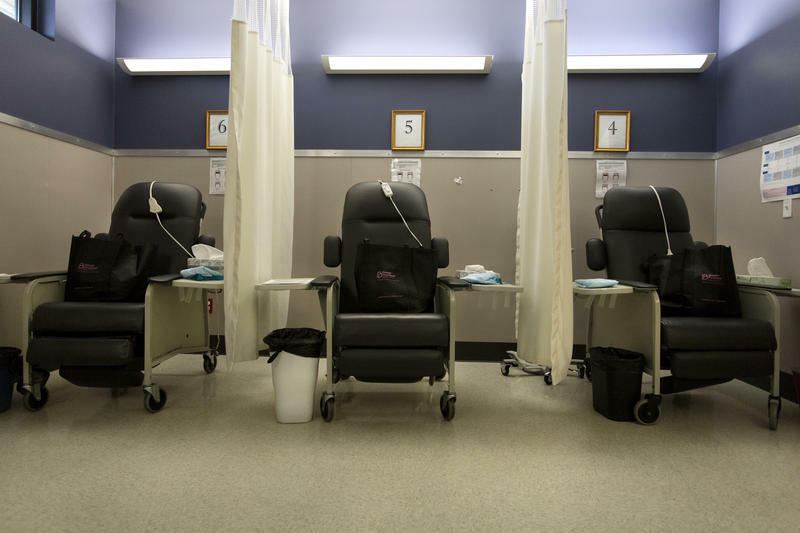 Medicaid in Texas is facing possible cuts from both the state and federal governments. According to health care advocates, the Texas Senate is proposing a budget that underfunds Medicaid by at least $1.9 billion. 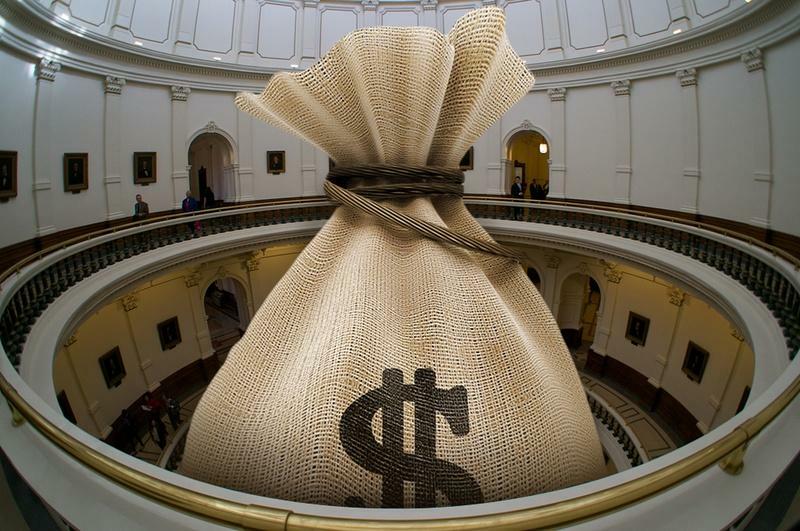 Texas House and Senate leaders unveiled dueling budget proposals — starting nearly $8 billion apart — in separate moves Tuesday that foreshadowed remarkably different priorities in the two chambers during a legislative session that promises to be even more tightfisted than usual. 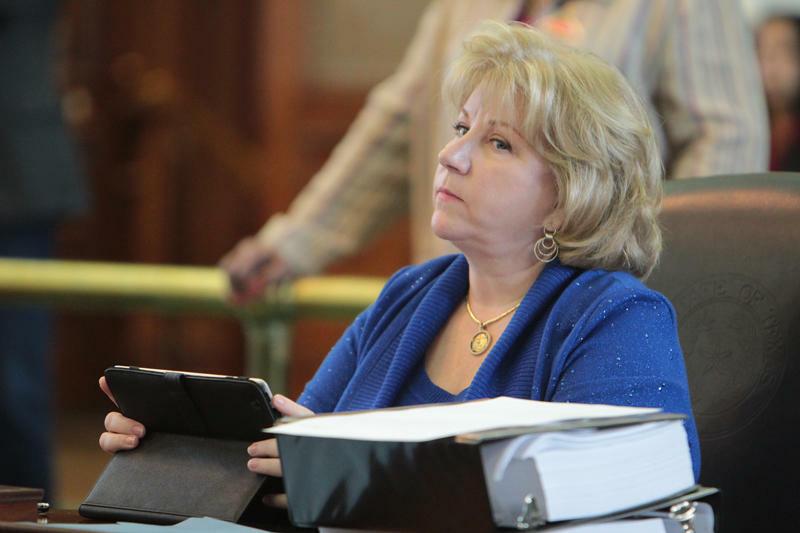 Texas Senate Finance Chairwoman Jane Nelson on Tuesday proposed a $213.4 billion two-year base budget. 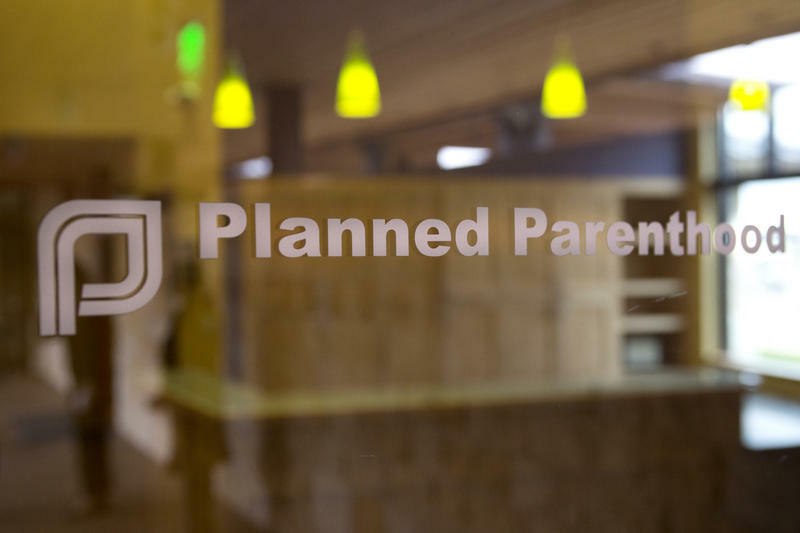 A federal judge ruled Tuesday that Texas health officials cannot kick Planned Parenthood out of the state's Medicaid program. Texas officials are trying again to take state funding away from Planned Parenthood in Texas. This time, they are kicking the chain of women’s health clinics out of the state’s Medicaid program, which could affect roughly 11,000 Medicaid recipients across the state. Statewide funding cuts to therapies for young children with developmental delays go into effect today. Some state lawmakers have vowed to reverse cuts during the legislative session next year. But until that reversal happens, Early Childhood Intervention (ECI) providers are going to have a hard time keeping their doors open.